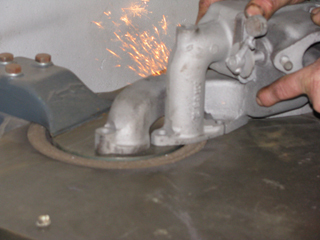 Jemax Revision specializes in just old military vehicles and reviews everything in its own workshop. 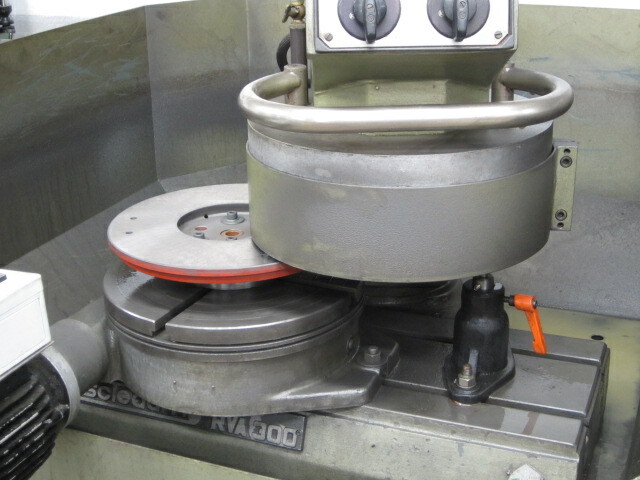 The Sunnen hoon machine makes it possible to achieve very high accuracy in size and surface roughness. 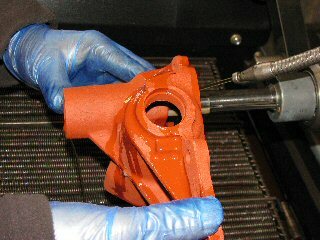 This also corrects molding errors and has a wide scope. 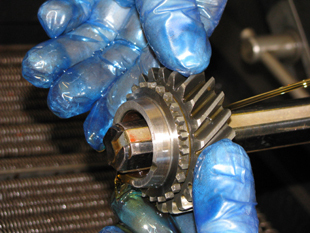 When revising an engine, the size of the connecting rods will also be checked. If these (inferiority) are not within the values, we will once again have a clean, precise and precise rounding of the floating rods after first processing. Also the size of e.g. 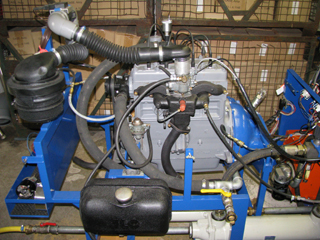 Gears / steering units / ignition unit / cylinders and more applications. 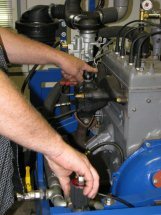 Since the introduction of unleaded fuel around 1990, engines with normal (soft) valve seats have more to suffer because lead also caused lubrication and improved heat dissipation of the valves. 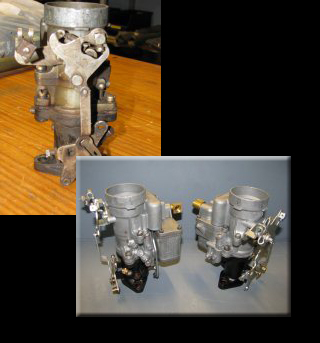 Now that this is no longer the case, much faster damage to the valve seats causes the necessary problems. 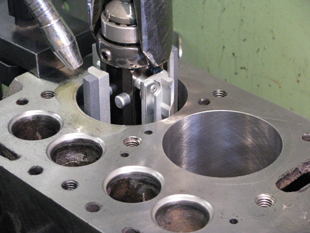 To minimize this, we can mount hardened valve seats in the engine block (side cutter) or in the cylinder head. Sinds de invoering van ongelode brandstof rond het jaar 1990 hebben motoren met normale (zachte) klepzittingen meer te verduren doordat lood ook zorgde voor een smerende werking en voor een betere warmte afvoer van de kleppen. Nu dit niet meer het geval is ontstaat er veel sneller schade aan de klepzittingen die daarop weer de nodige problemen veroorzaken. Om dit te beperken tot een minimum kunnen we geharde klepzittingen monteren in het motorblok (zijklepper) of in de cilinderkop. 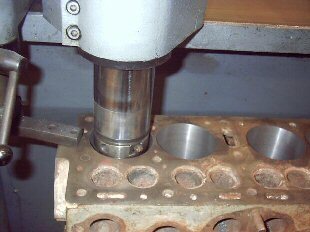 After a long run of the engine, wear in the cylinders causes too much play between piston and cylinder. 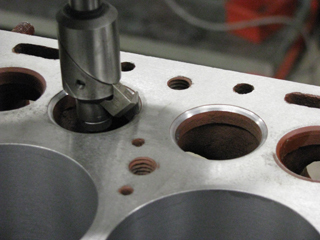 Overheating can also cause the pistons to expand too far to scratch them along the cylinder wall. 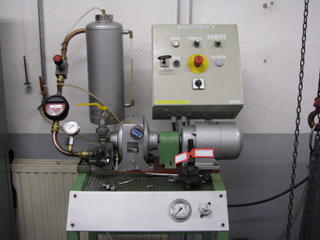 Even greater damage to the cylinder wall can occur as e.g. 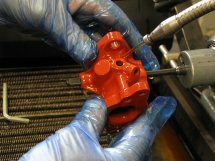 The piston springs are broken and come into the cylinder. 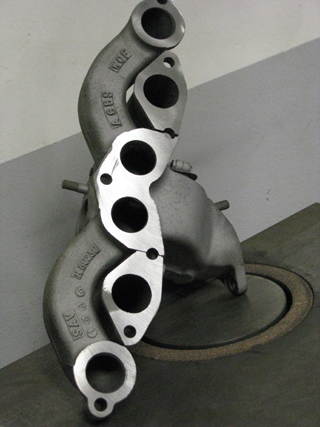 The excessive cylinder wears out in higher oil consumption and reduced compression. 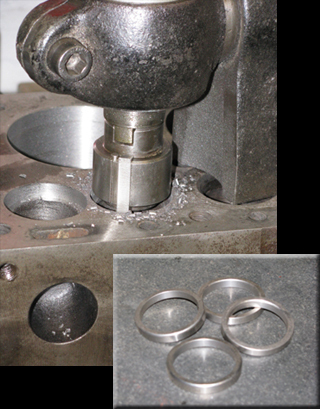 To correct this, the cylinder is drilled to a first consecutive excess until it is regularly recycled. 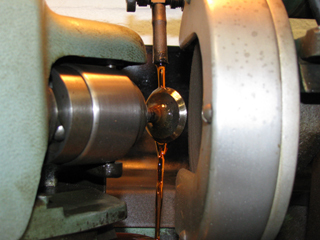 After fine drilling, a post-processing is required in the form of honey. This means that the coarse traces of fine drilling are dragged away. In addition, a honey pattern is introduced into the cylinder wall to make the cylinder wall well oiled and to obtain minimum oil consumption and minimum wear of the piston springs. 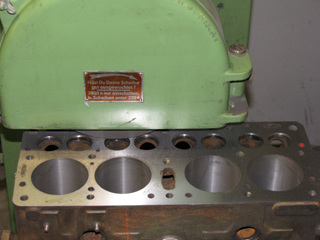 As a rule, eg engine block or cylinder head is no longer flat, eg overheating, it will have to be flattened. 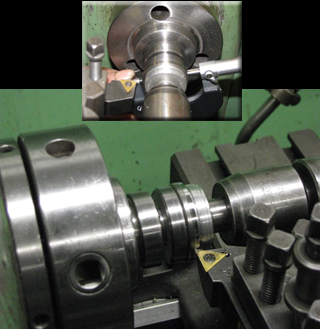 We can also use manifolds / flywheels and other surface grinding operations with the correct surface roughness. 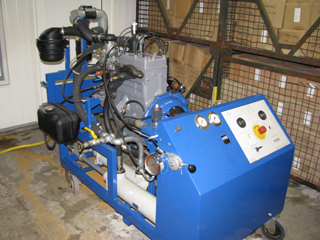 Because this machine can be hydraulically loaded, we can carry out various experiments under different operating conditions, whereby we e.g. 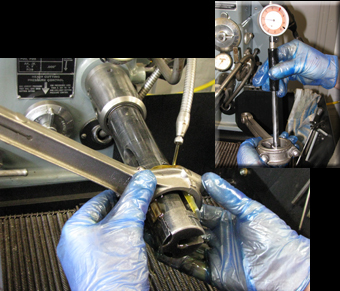 To adjust the ignition timing / advance characteristic to the current octane content of the fuel. 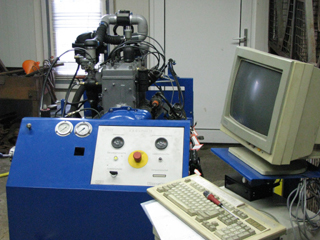 This means that we can test our engines before they are delivered, but you also have the opportunity to use them.